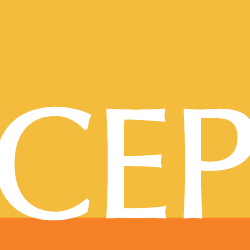 In the last half of 2009, CEP began asking grantees about their funders’ communications and helpfulness in response to the downturn. The data, gathered from surveys of over 6,000 grantees of 37 foundations, has been analyzed in a CEP report, A Time of Need: Nonprofits Report Poor Communication and Little Help From Foundations During the Economic Downturn. As the title indicates, the findings are sobering. Nevertheless, some funders did more to help and communicate with their grantees than others. The Cleveland Foundation was among the top ten funders on grantee perceptions of how clearly it communicated about its own response to the downturn and for its helpfulness to them during that time. I recently spoke with the Cleveland Foundation’s Robert E. Eckardt, senior vice president for programs and evaluation, and Kathleen Hallissey, director of community responsive grantmaking, to learn more about the Foundation’s response. JR: What were your first steps in responding to the economic downturn? RE: We had a board retreat in October 2008 – right when the market was going south. So we explained what we wanted to do: Talk to agencies and have more flexibility in our grantmaking based upon what we heard in our outreach to the community. Engaging our board right away was helpful in having them understand what we were going to do so that staff felt empowered to do it. KH: After that meeting we began a series of community conversations, most held off-site in our public libraries, and we invited anyone from the community to come in and talk. The meetings attracted a total of about 250 people from lots of different agencies both small and large. Practically every sector was represented. The meetings took place in a small group setting where we assured confidentiality. We asked grantees what issues were impacting the community the most and what changes their agencies were facing with the economic downturn. We then asked what the Foundation should do – what things should we change or keep steady, for example. We really wanted to hear what they thought. JR: What did they tell you? KH: The community asked us to be flexible in terms of who was a vulnerable population and what kind of services we could provide. For example, to consider those middle-class professionals who have lost their jobs as a vulnerable population. They also asked us to think broadly about capacity building and to include what we ended up calling bridge funding – to help people change their service delivery model and/or funding structure – and to be open to all different kinds of requests. JR: What did you do in response to some of the things that they told you? RE: It’s intimidating to approach a foundation and feel like you have to have every “T” crossed and “I” dotted. During the public meetings, we sent the signal that we were open to meeting with grantees who wanted to talk about problems, but were not necessarily clear about what the solutions were. That was an important step. The other point we tried to make was that we recognized that we were in a period where it wasn’t necessarily about growth and new and exciting projects, but rather about sustaining. That we had invested a lot of money building things up, and we had an interest in sustaining what was important. So they didn’t have to come up with something brand new and untried because we recognized that we were in a period of sustainment as opposed to growth. KH: We got the message out that we were here, willing to listen to what was going on and help problem-solve. We also shared that we were going to take all the information we were gathering directly to our Board so they could understand what was going on in the community. Another point we made was that we needed their expertise, that we were partners, that we needed to hear from them, and that we were in this together. JR: What information did you share at these meetings about the Foundation’s situation? RE: We tried to be as transparent as we could. I think even the tone of, “We don’t necessarily have the answer. We want to hear from other people and try to come up with what makes sense for us and for the community” conveyed a sense of transparency. We also wanted to send a reassuring signal that although we aren’t immune to the economic downturn, we aren’t going to shutter the doors or take all of our flexibility and just put it into basics like food. We told them that although we were going to change over time, we wouldn’t do so precipitously, but would work with organizations in a partnering, thoughtful way. JR: Did you share these messages in other ways beyond the meetings? RE: We shared the same message in our quarterly newsletter to grantees. The Ohio Grantmakers Forum also arranged meetings between foundations and grantees. We provided the same, consistent messages at those meetings as well. In some ways, however, the messages were heard more clearly in the smaller meetings. And going into the neighborhoods and holding meetings in the libraries sent the signal that we were reaching out to the community by going into the community. JR: What kind of balance did you try to strike between dealing with the effects of the downturn on the Foundation, while at the same time helping grantees? RE: Keeping a future orientation and recognizing that we do need growth and change, while at the same time recognizing the current need for short-term capacity building, bridge support, and flexibility is the balancing act we’ve had to work through. We don’t want the message to be that we’re not open to new and different things. But on the other hand, we don’t want to send the message that that’s all we’re interested in. JR: What have you learned from this experience? KH: Looking back, it was really important that our whole team went out into the community. There are four program officers on our team, and we were all at these meetings so that the community could see who we were and find the right connection with one of us to have those conversations. It was helpful to hear their perspective because there was this fear that we were only going to focus on basic needs and not think about the more mid- and long-term range for some of the organizations that perhaps were in a different place. Judith A. Ross is Senior Research Writer at CEP. Previous Post Funders Agree: More Must Be Done to Assess Performance Next Post BP Oil Spill: A Cautionary Tale on Blurring of Sector Boundaries?